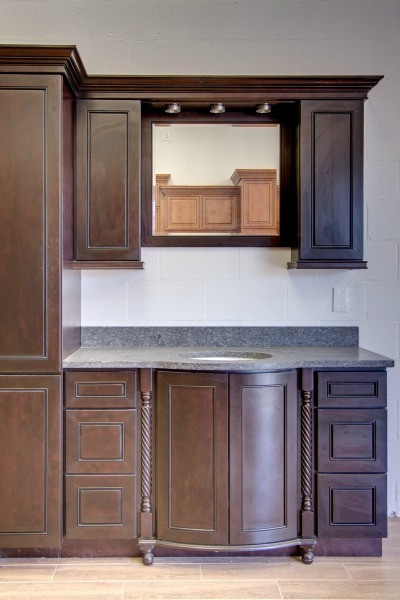 Back Panel: 1/2" Plywood - Sinks/Vanity Sink Bases do not have back panels but do have hanging rails. 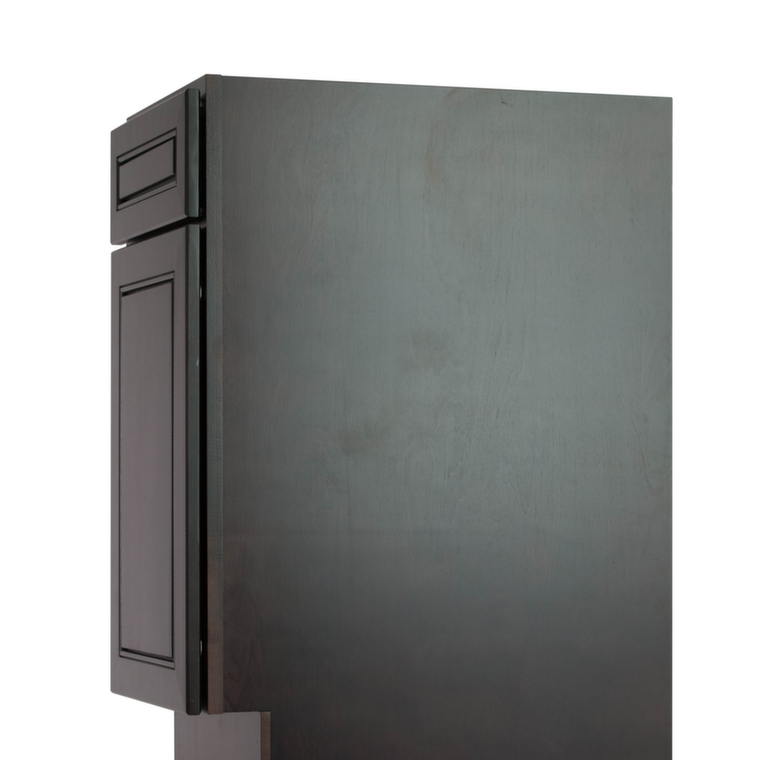 The SVA24p will have a back. 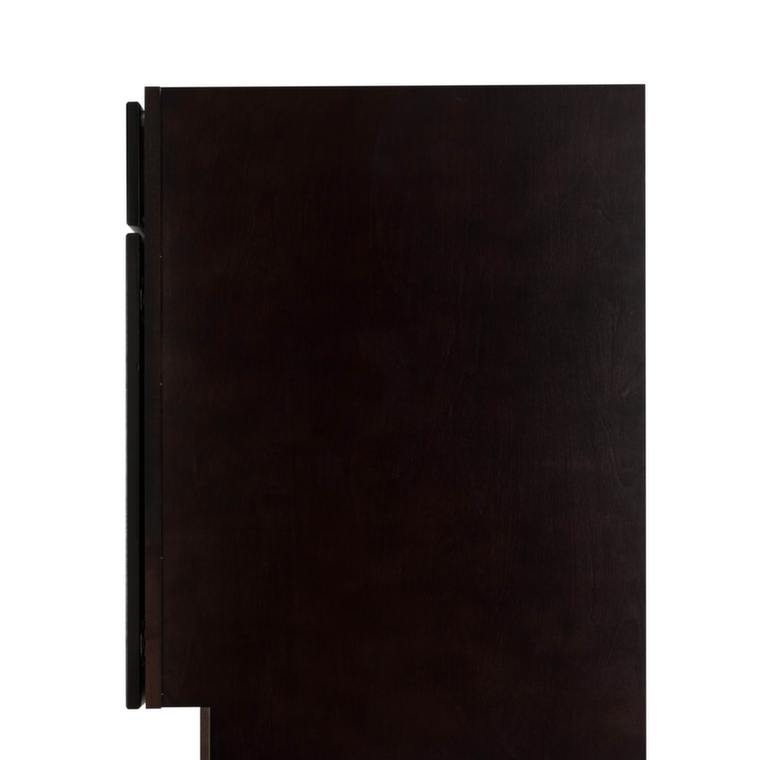 Door Hinges: Pre-Drilled To The Right - Wall Cabinets Can Be Flipped, Base Cabinets Will Have To Have The Hinges Moved To The Opposite Side. 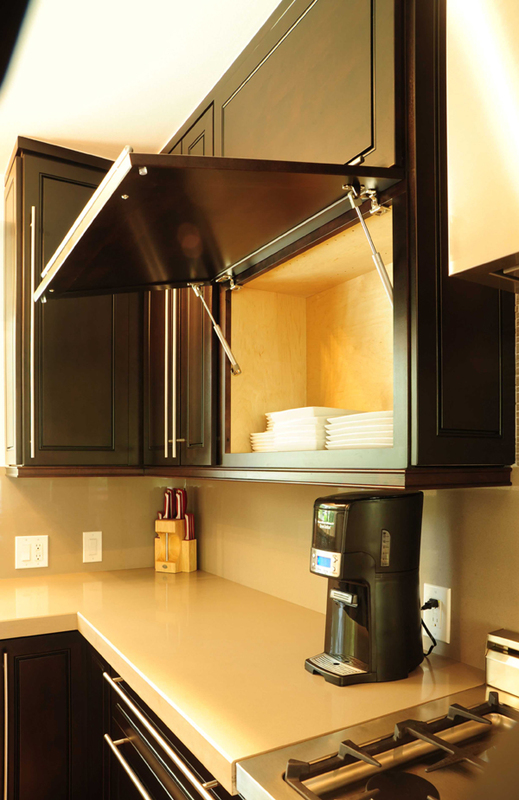 Holes Can Be Filled If Preferred, But They Will Only Be Visible When The Door Is Open. 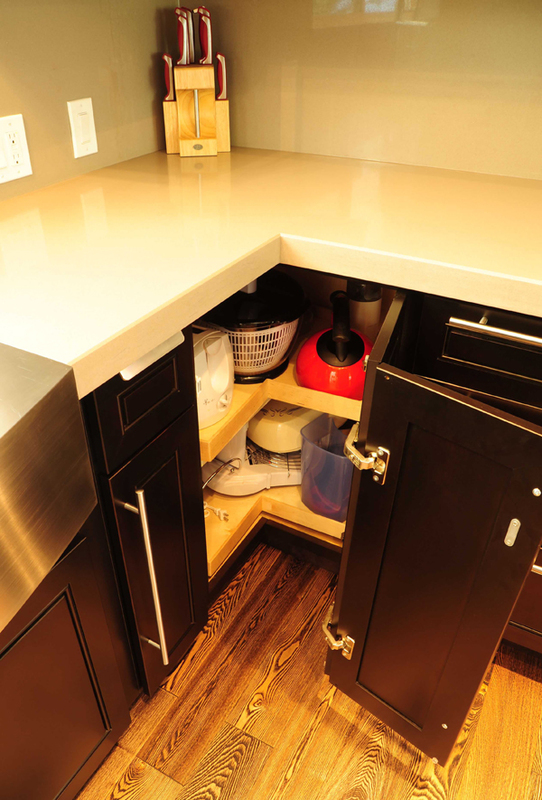 For this full overlay door style, if a cabinet is being installed against a wall, a 1/2" clearance is recommended between the wall and side of the cabinet to allow the door to open properly. 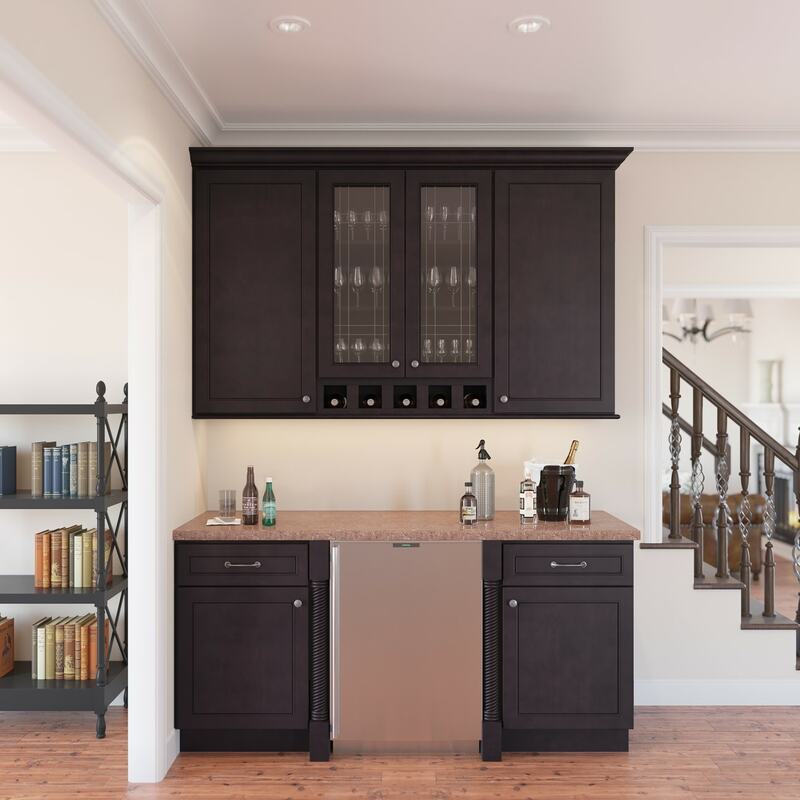 Scribe molding can usually be used for very narrow spaces, however, only choose that option if the design doesn't allow for a 1/2" clearance. 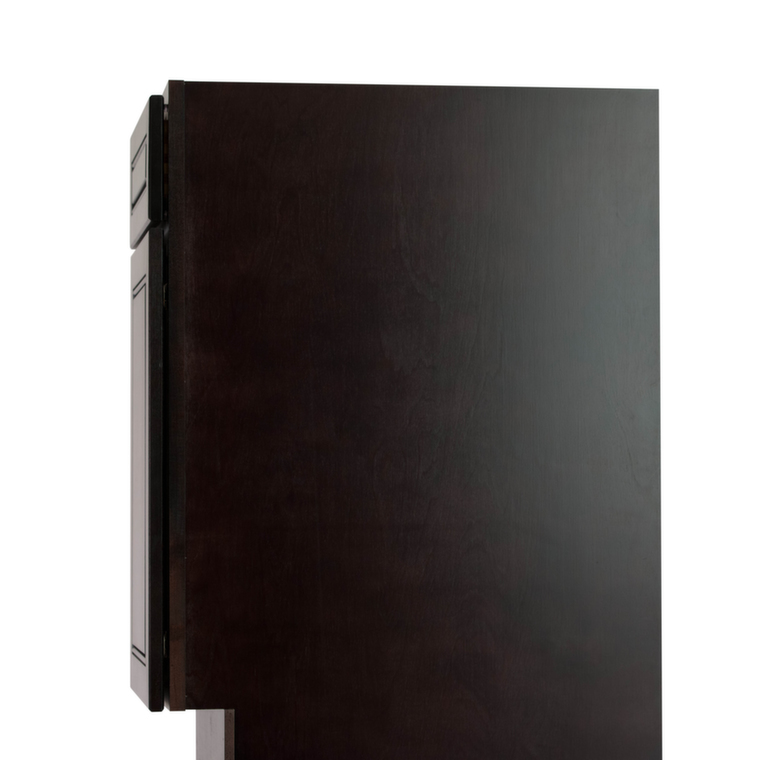 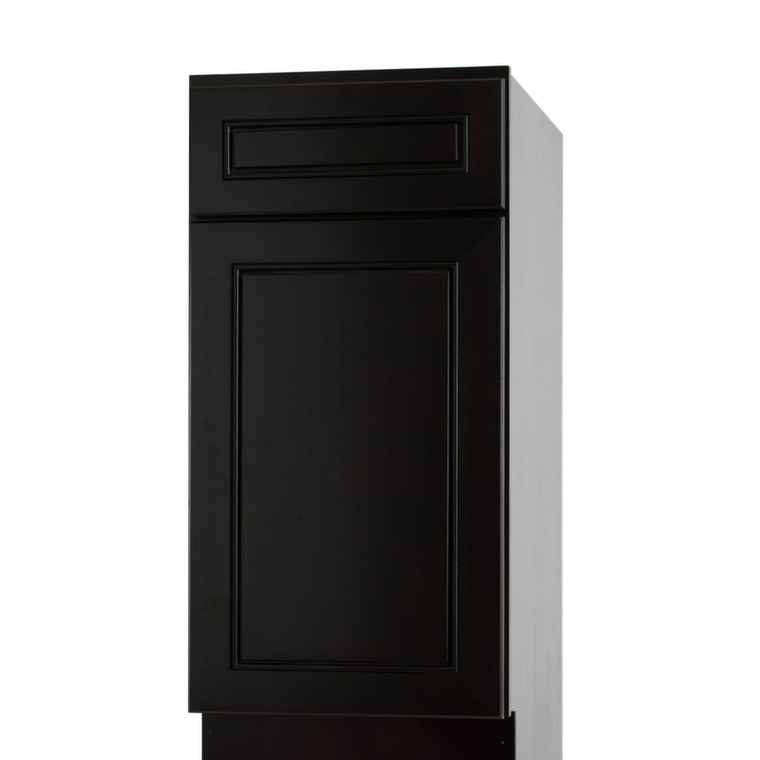 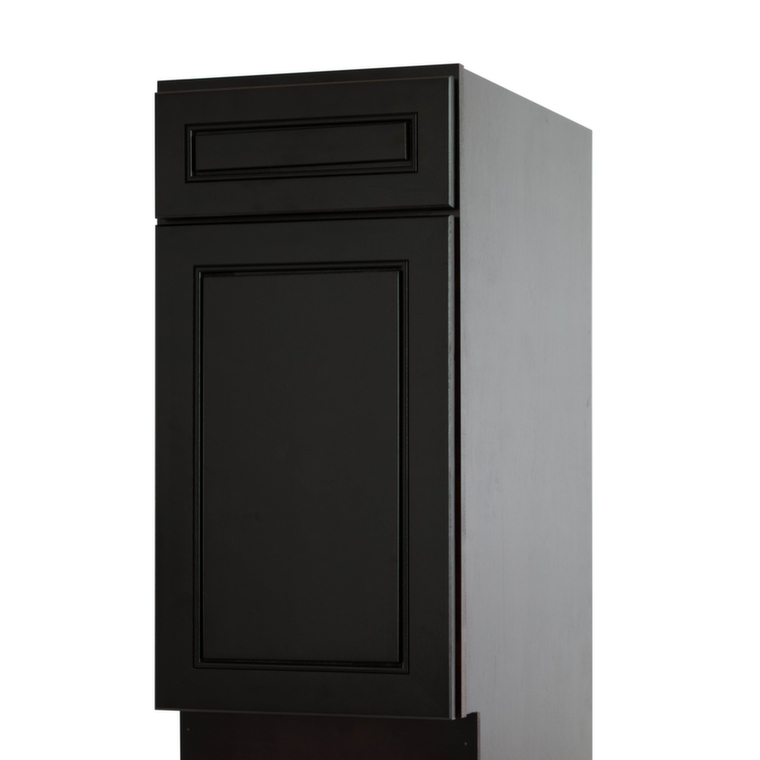 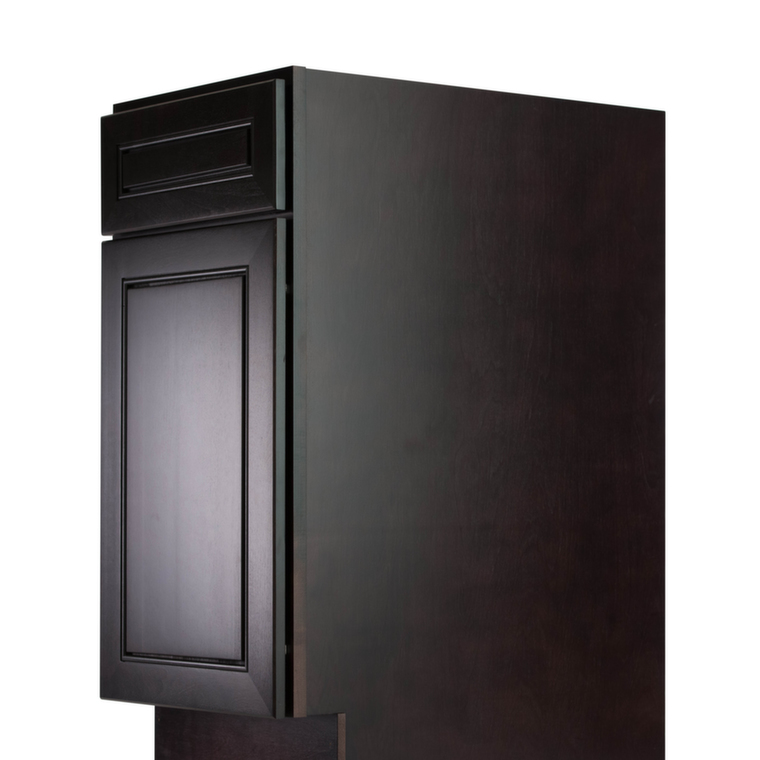 The Espresso Bean Cabinet collection offers a rich and exotic feel with its dark espresso finish. 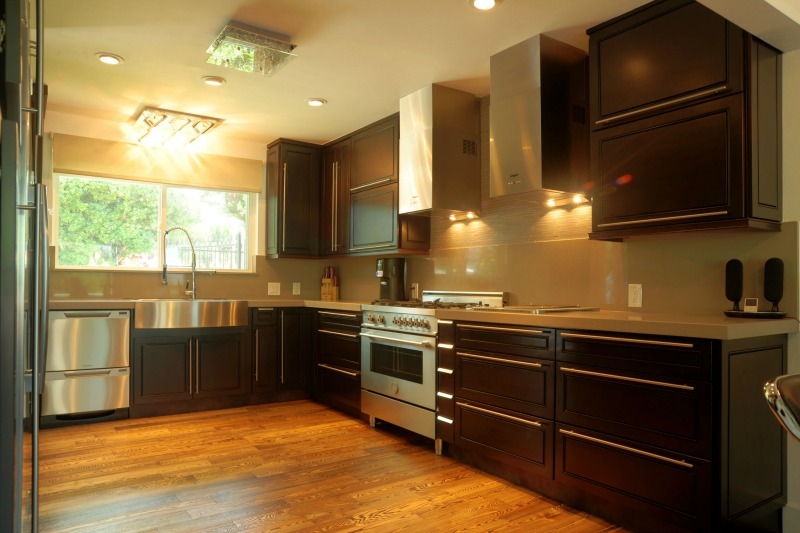 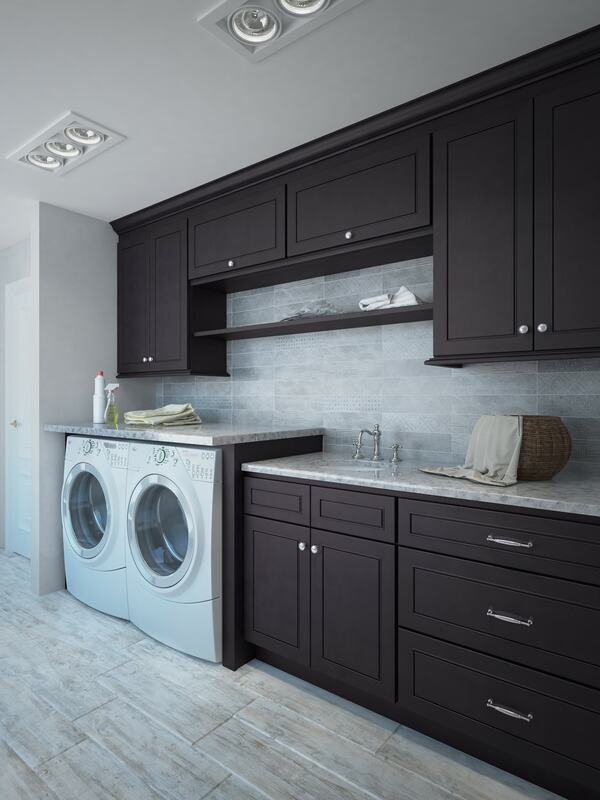 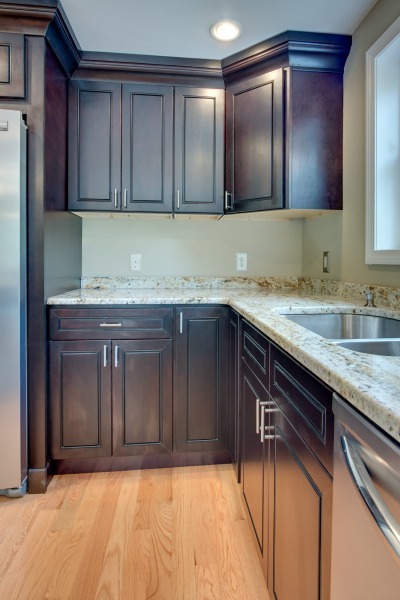 These cabinets have nice clean lines for a modern touch. 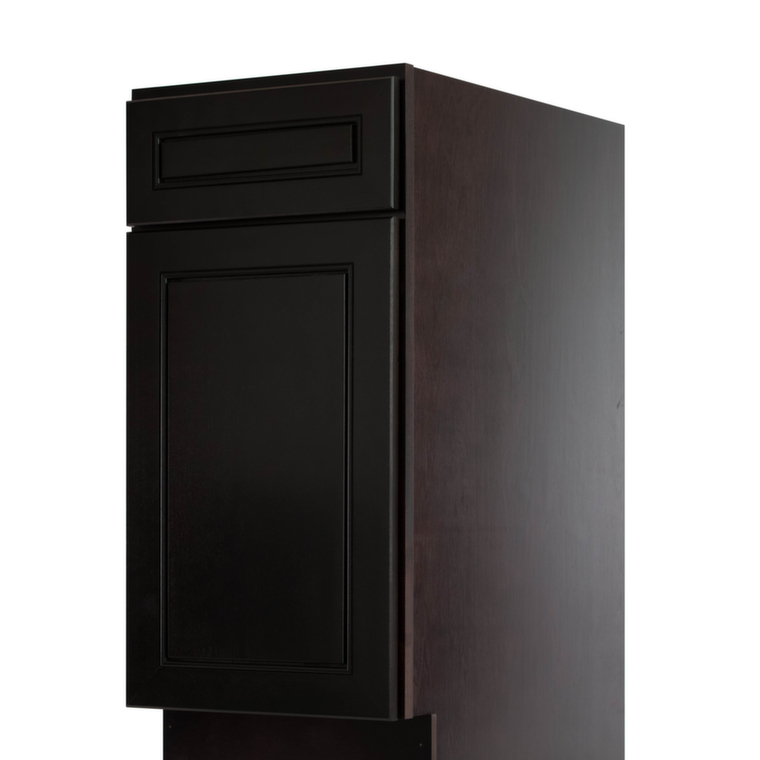 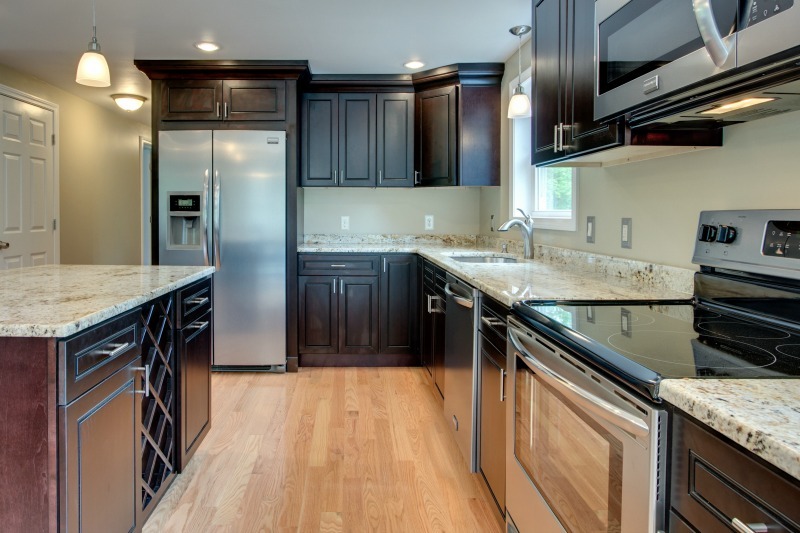 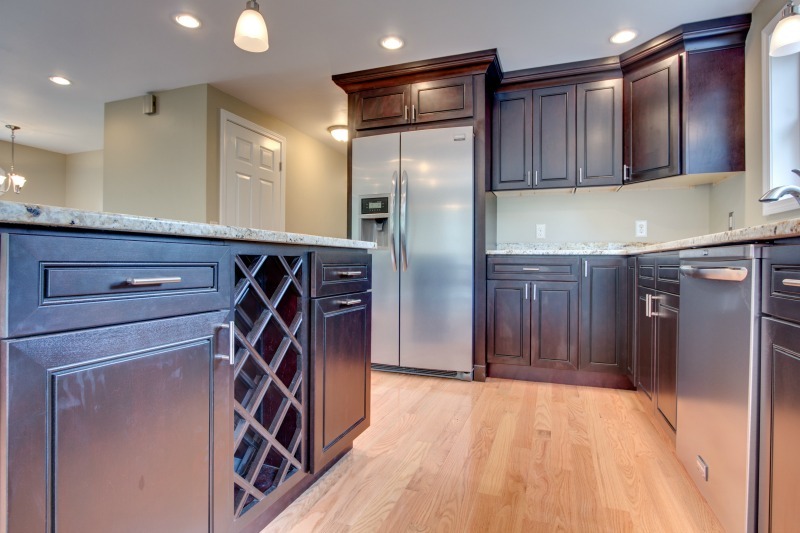 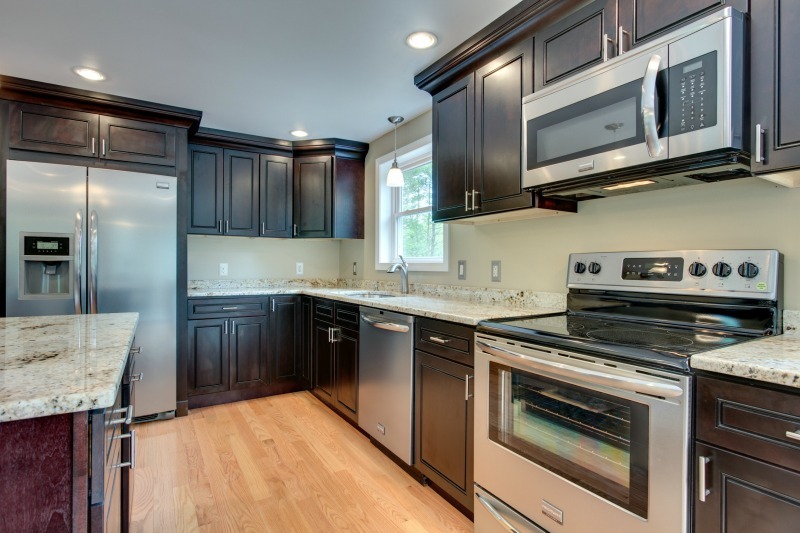 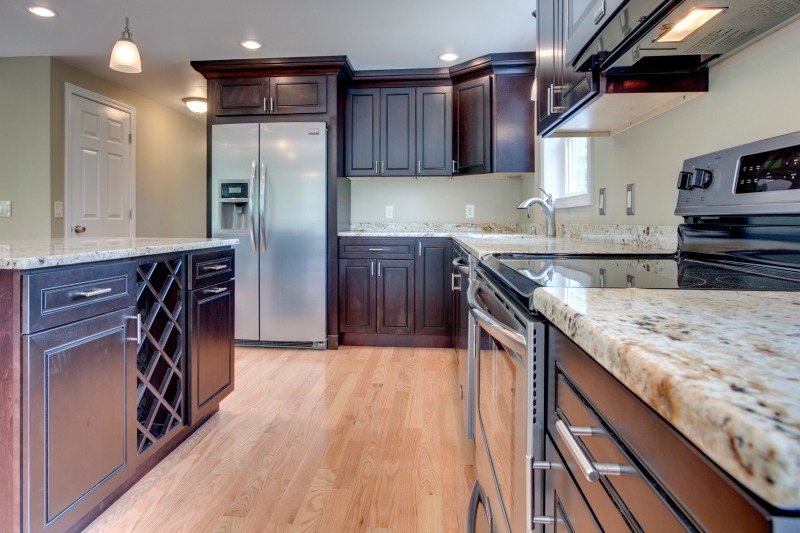 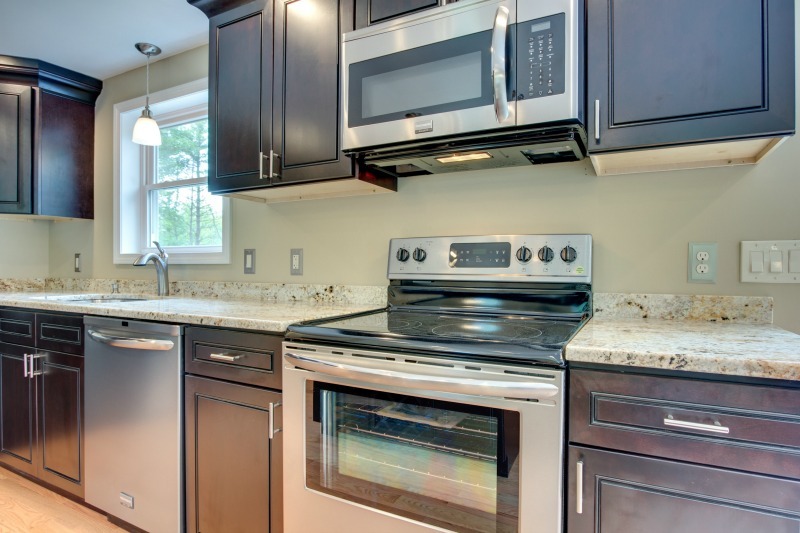 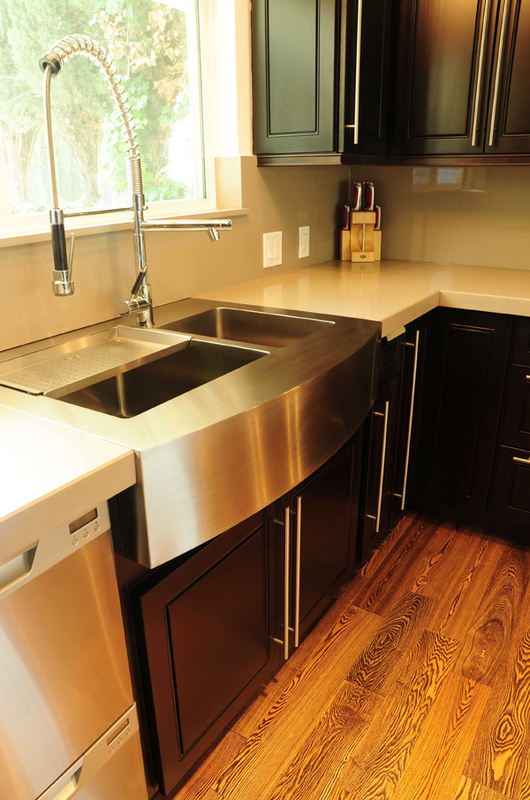 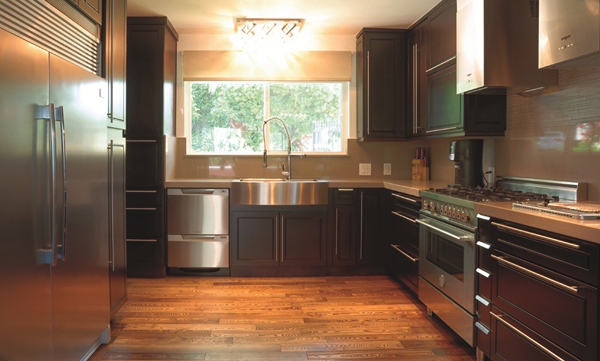 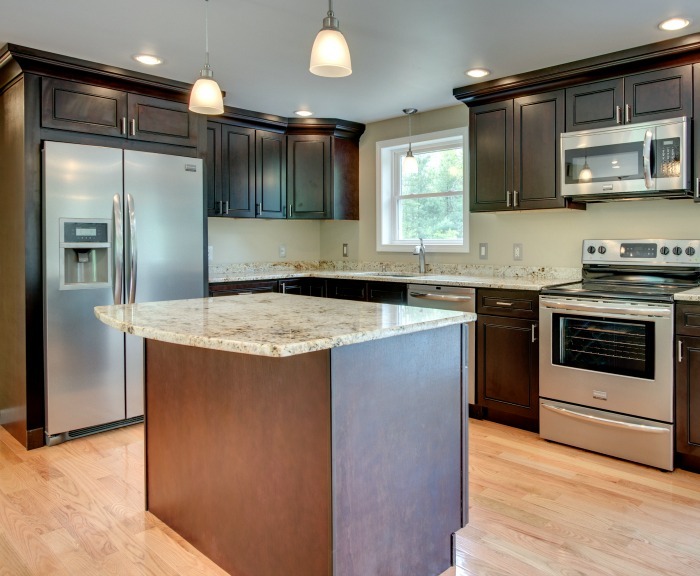 The solid maple, raise door panel style is one of the many features that make these cabinets high quality. 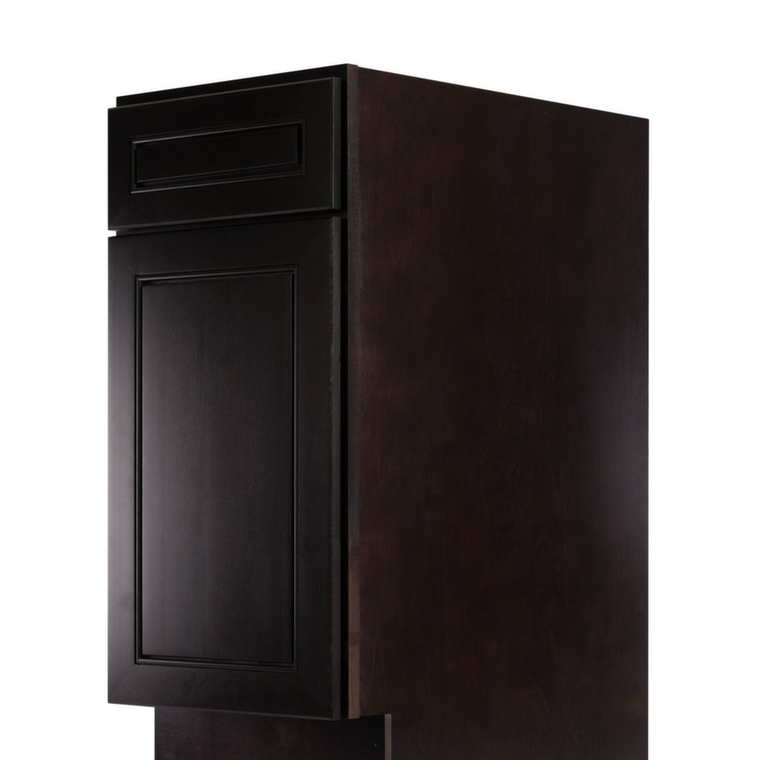 The cabinets also come with full extension, soft close, dovetail drawer features.